When it comes to getting outside with toddlers, walking – aka hiking – is one of my favorite activities. Toddlers are so interested in exploring new things and taking on new skills that even a walk around your neighborhood can feel like a grand adventure. It’s safe for little kids to explore on foot, not just in a kid carrier. When you’re on the trail, be mindful of toddlers near water and watch what goes into little mouthes. The walk should offer interesting sights along the way, just in case your little one can’t make it to the end. It can’t be too long. 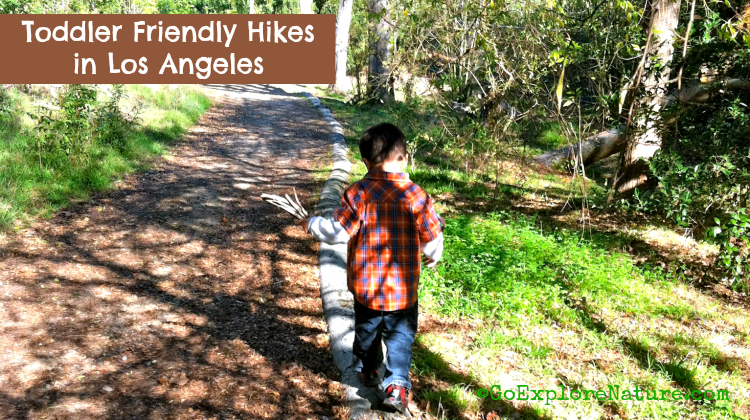 Most toddlers aren’t quite ready for multi-mile hikes, at least not on their own two feet. Plus, most hikes don’t include access to a bathroom on the trail, which can be challenging if your child is potty training. It has to be fun! 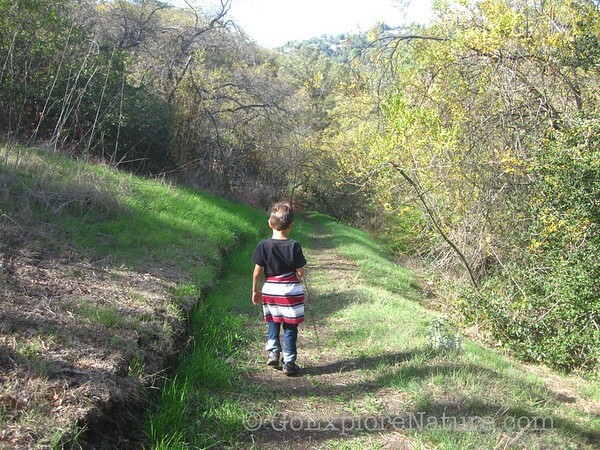 Find out how to make hiking fun for kids before you venture out. Hiking with toddlers is all about the journey. The focus is not on getting to some end point, but on having fun while you’re out there! Don’t forget to pack an extra set of clothes, snacks – maybe even a picnic lunch. 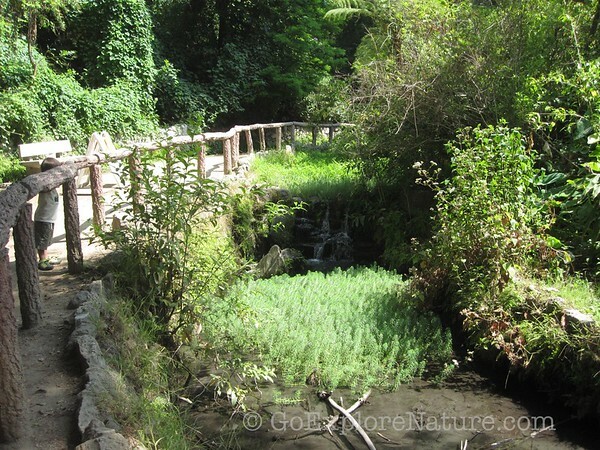 Don’t let the name fool you: Ferndell Nature Museum is an outdoor space that features more than 50 fern species set alongside a meandering pathway about one city block in length. There’s a lovely stream and lots of plants to look at along the way. Ferndell also makes a great jumping off point for nature play at the Western Canyon entrance of Griffith Park, located directly in front of Ferndale’s parking area. 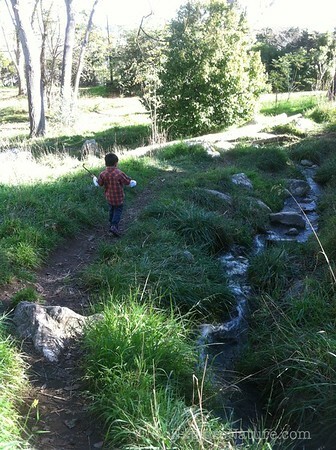 Here kids can scramble over rocks in a dry creek bed or head over to a more traditional play structure. The Bronson Caves is an easy 2/3-mile roundtrip hike. Adults might recognize it as the “Batcave” from the 1960s campy television series, Batman. 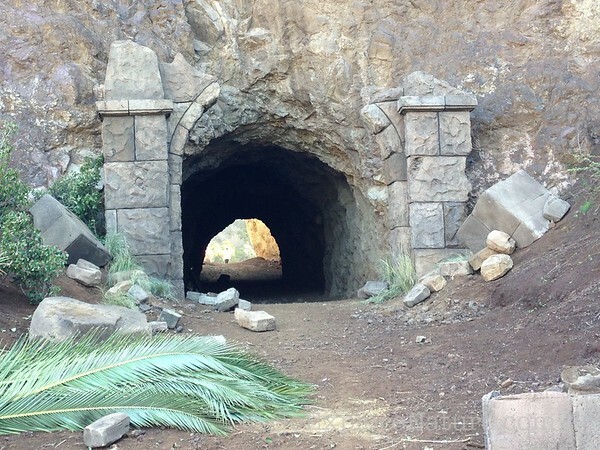 Kids will get a thrill out of exploring a cave in the heart of Los Angeles. When you’re finished with the cave, there’s a park, playground and picnic area near the parking lots which make for a nice post-hike eat-and-play space. 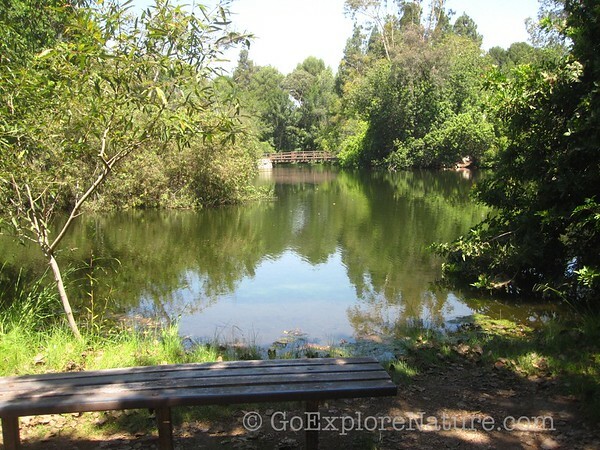 With a duck pond, 3-acre lake and a wonderful nature center (with restrooms), there’s a lot for toddlers to love at Franklin Canyon Park. Start at the Sooky Goldman Nature Center, where there’s lots to see and touch. Then head outside on the easy .3-mile Discovery Trail, which loops through black walnut woodland along the canyon bottom. You’ll also want to see the ducks and turtles at Heavenly Pond. We like to think of the Audubon Center at Debs Park as a nature playground for kids nestled inside the 280+ acre Ernest E. Debs Regional Park. The highlight of the Audubon Center for pint-sized explorers is the Children’s Woodland Area, which features a creek bed, fort, water pump, boulders, an outdoor art area and more. Adjacent to the Audubon Center is the kid-friendly 3/4-mile Butterfly Loop Trail, perfect when combined with time spent in the Children’s Woodland Area. 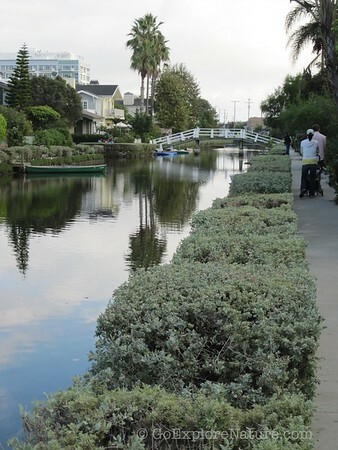 Although the Venice Canals once consisted of several miles of canals and waterfront homes, today you can walk the entire route in about an hour, even with kids in tow. Little ones will especially enjoy all the ducks, boats and bridges – not to mention a pint-sized park hidden amongst the canals. Give yourself an hour or more to stroll along the canals, bird watch and stop by and play at Linnie Canal Park. The 11-acre Hopkins Wilderness Park features four ecological habitats: forest, meadows, streams and ponds. Dirt trails meander through the park taking you seamlessly from one habitat to the next. The trails are flat and full of fun things to see and do! Toddlers can practice balancing skills on logs carefully places across streams, get up close and personal with any number of birds that call this place home, even go “hiking.” Park features include two ponds, two streams, a “forest,” a meadow and several trails throughout. The El Dorado Nature Center sits within a 105-acre nature park that features lakes and streams, plus lots of wildlife. Stop in at the nature center to learn about the plants and animals, and to pick up a guide to the trails. Just outside the nature center are two miles of dirt trails (divided into an optional 1- or 2-mile loop), plus a 1/4-mile paved trail. Along the route there are specific points where you can stop, look and listen for certain things, making it very interactive. After you finish your exploring, you might want to head across the street to the huge El Dorado East Regional Park, with bike trails, more lakes for fishing, a miniature train kids can ride, and several playground areas. 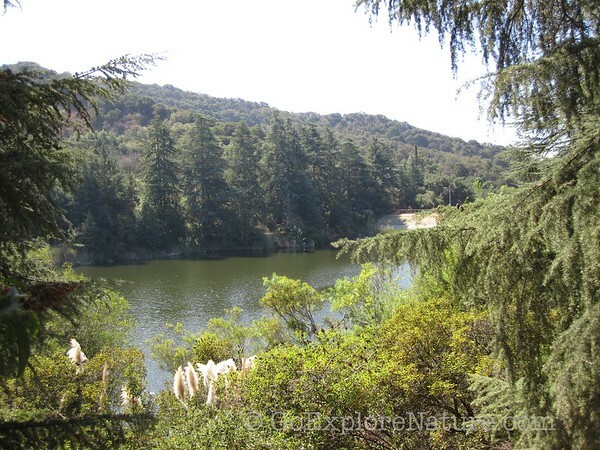 For more LA hiking inspiration, head over to my Family hikes in Los Angeles board on Pinterest.